Not much to report on day twelve. Only made one flight today, and it went fine. I was having a bit of trouble remembering the commercial maneuvers since I haven’t done them since… well, since I got my commercial certificate circa 9/11/01, but the cobwebs are slowly clearing. You know, I’m starting to think that Lazy Eights are the non-aerobatic equivalent of barrel rolls: they take a moment to learn but a lifetime to master. I’m also starting to think about What Comes Next. The new year will be here soon, and with it I’ve got to figure out what I’m going to do with this new airman certificate in my pocket. Instruct, sure. But how? Freelance? Work at a flight school? Mix the two? As a graduate of ATP’s instructor program, I believe I could get a job teaching for them. My commercial multi instructor told me that ATP has a hard time keeping the Long Beach office staffed, so maybe that would work. It’d involve a lot of multi-engine time, that’s for sure. That’s the big thing the airlines, and therefore many newly minted CFIs, are looking for. The question is, do I want to work for the airlines? I’m not sure. 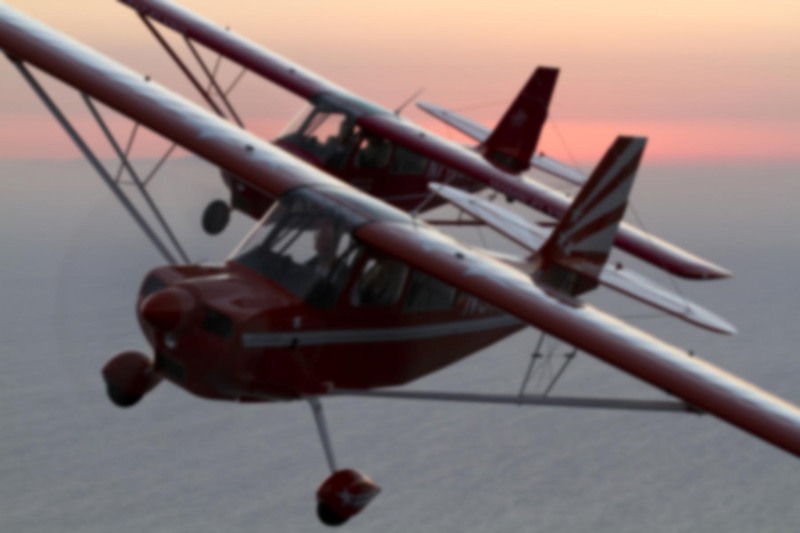 Aerobatics, biplanes, tailwheels airplanes, and that sort of thing seem like a lot more fun, especially with the current state of the airline industry. Even so, some airlines are definitely hiring. I had dinner this evening with the three CFIs who run the Las Vegas ATP office, and it seems that Express Jet (a subsidiary of Continental Airlines) is hiring a lot of former ATP instructors. Nothing like getting paid $15,000 a year to fly a $15 million jet, eh? I told my instructor, Dan, that it’s like being an out of work actor, only you’re poorer. There are a lot of unique and fun flying jobs in aviation. When someone finds out that I want to fly for a living, they always ask which airline I’m applying to, as if there are no other flying jobs out there. Heh. I’m going to have to mull this question over quite a bit before I can figure out where I want to go after instructing. If there even is an “after”. Many people I highly respect are career instructors. That’s another possibility. Experimental transition training, glass panel instruction, aerobatics, type ratings, warbirds, etc. One of the members of my class flew for the Forest Service and made that sound like a lot of fun.